We have the largest range of Indian and imported marble, granite stone with maximum experience of cutting and finishing of marble stone. 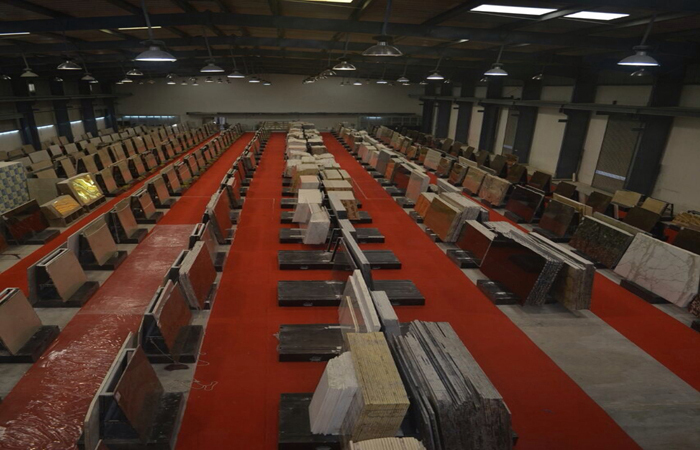 We have all kinds of Italian Marble, Makrana Marble, Onyx marble, Italian marble flooring, statuario marble, Indian Marble, Sand Stone, Granite, White Marble. We are one of the largest Kishangarh marble dealer, Makrana marble dealer, Italian Marble, Italian marble dealer, Italian marble flooring, Italian Marble in Delhi, Italian Marble in Jaipur, Italian Marble in Kishangarh, Italian marble price, Makrana marble, White Marble in Jaipur. Welcome to Bhandari Marble Group!!! Thank you for your interest in our Company. Our grandfather Shri Roopchand ji started marble business in 1631. It’s the top quality marble products, value of words and our hard work which made us the leader in Marble Industry. What we do know is the teaching of our grand father – to do businesses by utmost honesty, transparency, dedication and conviction. With this moral ethics as the founding philosophy of Roopchand ji group . This is everything that what we stand for. After so many years our group still holds the guideline and strict quality control and all the teachings of our generations from our grand father. Further group members are constantly evolving in research and development of best quality marble.We try to achieve new goals of development and professional excellence, we endeavor to remain quality quantity of marble business. We have the largest range of Indian and imported marble, granite, stone with maximum experience of cutting and finishing of marble stone. Our unbeatable quality along with biggest experienced team of workers supervisors and engineers deliver value products. The advance vision of future market trend and fashion makes the Bhandari brand quiet unique. we have dream plan for individual house, complete township, big hotels, airports, shopping malls, IT centers, showrooms.To experience the quality and skill we invite you to visit Bhandari marble world Kishangarh. Bhandari Classic white marble is ranked as world’s most beautiful marble. Ahead of its time and all of its counterparts. Reaffirming itself as the benchmark in the marble industry, Bhandari Classic white has been ranked as No 1 in the world’s most reputable brands list. We have once again proved our expertise in marble world.